MSI has been pushing the boundaries for gaming notebooks for a while and continues the tradition of ultra powerful gaming laptops with the MSI GT83VR Titan. If you know anything about MSI, the GT83 series is known for packing the most powerful Intel notebook Core I CPU currently out there. Well, let’s just say that the new MSI GT83VR Titan lives up to the expectation of GT83 series. It is powered by the Core i7-8850H and two Nvidia GTX 1080 GPUs in SLI. This is the first laptop to be powered by Intel’s Coffee Lake H processor. It is a 6-core 12-thread processor with a base clock of 2.60GHz (with Turbo speeds of up to 4.3Ghz). If the processor impressed you, the rest of the specs should bowl you over. The GT83 Titan features an 18.4-inch FHD display and comes with a whopping 64 GB RAM and 2TB SSD storage. 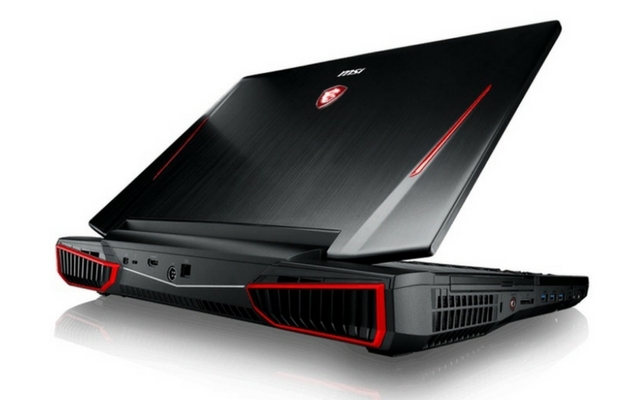 The laptop also comes with MSI’s proprietary cooling and enhanced sound technologies. It also has a Steelseries RGB mechanical keyboard with Cherry MX Brown switches and a touchpad that doubles up as a numeric keypad. Yes, it has everything you would want from a desktop computer. But does it performs like one? Sadly, that’s something we can’t tell you just yet. But if it manages to keep things nice and cool from the inside, we should have no issues pushing this laptop to its limits. That being said, the MSI GT83VR Titan doesn’t come cheap, just like the previous models. According to the listing on Public.gr (link not active anymore), the notebook will be priced €6,199, which roughly translates to about US$7,691. We are not sure whether that’s the base price or the top-end pricing. In case you’re wondering, the laptop is not listed on any other website including MSI.